This morning I had to go for a routine fasting blood test. So I was awoken and knew I couldn't eat anything for a couple of hours. I always hate going for these blood tests because I always feel so hungry. However then I remember the poor children in the United States (and around the world) who are often hungry. The most recent statistic says it is one in five in the US that are not fed enough. Imagine having to try to focus, function and learn without enough food. I find it so hard. 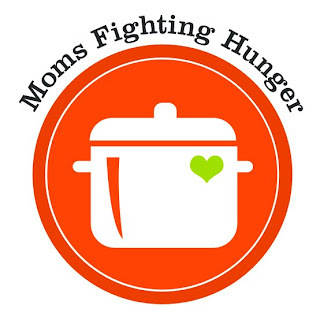 This month I'm joining other bloggers and moms to help fight hunger. I posted about it here (and will post more in the future) and you can click the button to the right or below for more information or to join us! Ok, now on to Sharing Saturday. 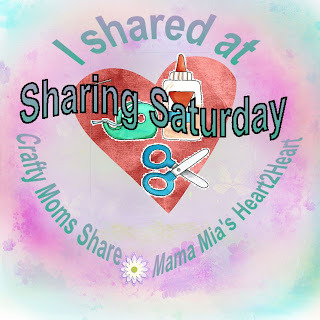 Last week was an amazing week and there are so many wonderful ideas shared!! I hope you will take some time to visit a few more and leave some comment love. Here are a few of my favorites!! 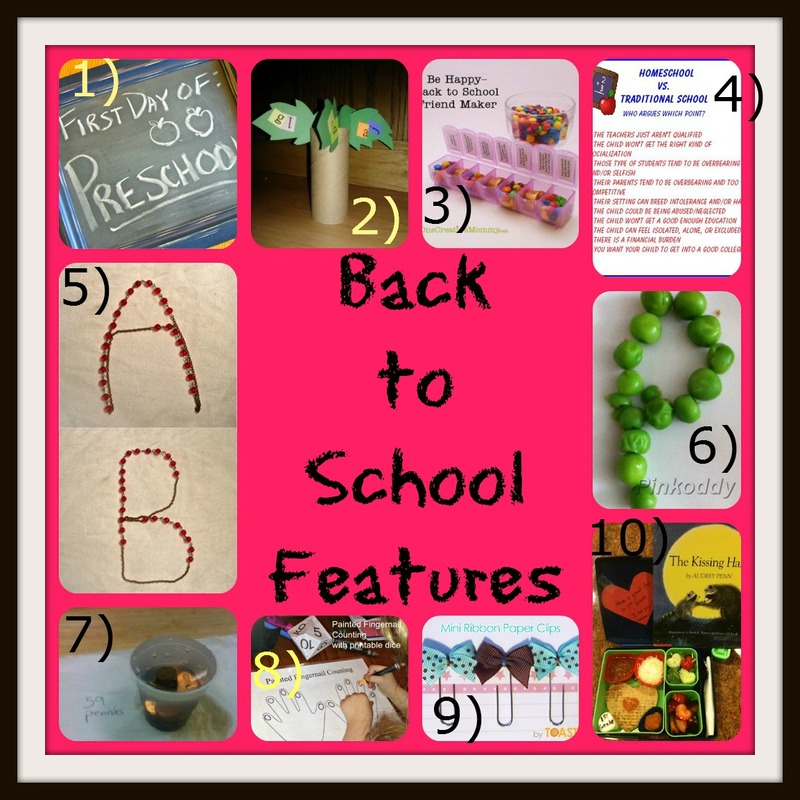 But since it is the start of school here are some school-related features. 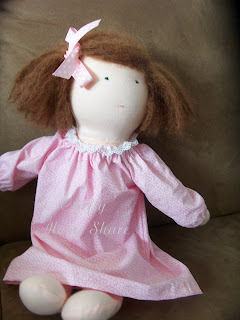 From Your Hostess: My first Waldorf Doll and she if finally dressed! Thank you!! And thank you for sharing with us!! 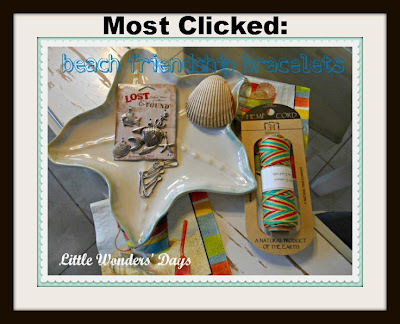 Thanks for featuring our beach friendship bracelets and our summer vacation memory jar! I love, love all your features this week. The Nature b-day party was so clever. Your doll is too cute, great job. Thank you for sharing with us!! Kara is going to be so excited that she was featured.. Thank you so much! Wow! 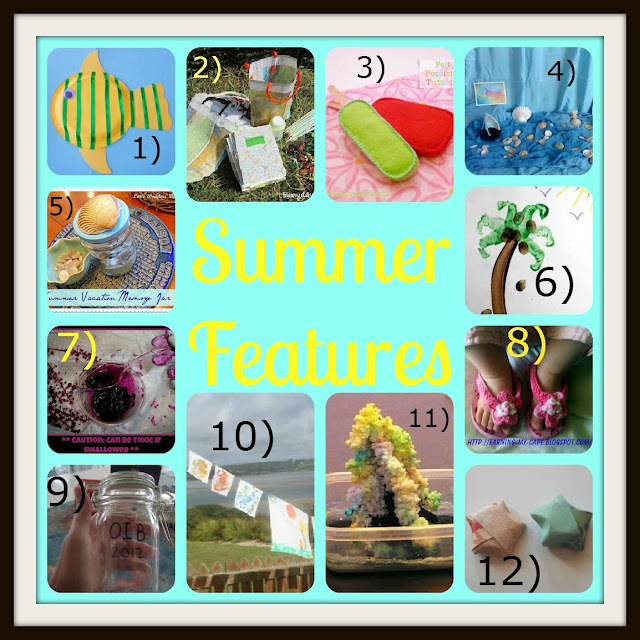 Thanks so much for featuring my popsicles and my friend-maker game! I'm worn out today, and you totally made my night! I sent a shout-out for your party on Facebook. Love your Waldorf doll! Thank you for featuring my 1st Day of 1st grade lunch and for hosting this great weekly linky. Thank you for featuring our handprint palm trees! Your Waldorf doll is adorable! I just linked up my Apple Treats for Chickens post - turns out it makes pretty yummy treats for kids too!